Further to my post yesterday exploring regional variations of Christian Zionism, illustrations of which included classical Pentecostalism in revolutionary Nicaragua, I was pleasantly surprised to learn just today that an article I'd written for an academic journal some time ago which partially covered this point has recently been made available for free on the Internet to the general public. The article is entitled Revolutionaries and Revivalists: Pentecostal Eschatology, Politics and the Nicaraguan Revolution, which was published in the peer-reviewed academic journal Pneuma: The Journal of the Society for Pentecostal Studies 30 (2008), 55-82. 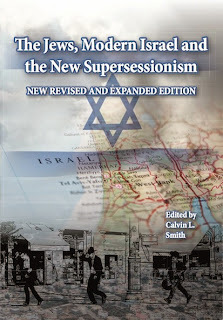 Although my article only explores briefly the Israel/Zionism issue, nonetheless it deals at greater depth the Latin American section of my article posted yesterday, as well as saving those with a passing interest having to purchase my incredibly expensive book (which explores this and related issues in much greater depth). Anyway, please consider downloading and reading this recently released article. And should it be, at some stage in the future, this external link becomes broken for some reason, please do please let me know so I can try and post the original version again here.